If you are reading this post, you don’t need me to tell you that working in real estate, you are faced with some serious competition. Even Google was unable to tell me how many real estate-related blogs are out there. Whether you own a small family business or work for a huge international agency, your company is likely to have its own website, and accompanying blog. And if you have ever done a bit of online investigation, you know that said blog is an excellent source of traffic. It’s also very likely that online sources have been telling you that you should publish content often, as often as you possibly can. Which is precisely why you may not have thought about reviewing the blog posts you already have published. Why spend time reviewing when you could be writing? As you very well know, writing a brand new post costs time, money and brainpower. While the same is true of a blog review, you will soon find that editing and updating a post is faster, less stressful, and it is the ultimate way of making good use of the resources you already have at your disposal. Think of it as flipping a home, if you will. And even more importantly, doing this audit will tell you what you have been doing well, and what you have been doing wrong. Sitting down to analyze your traffic patterns, best performing content, and the keywords that bring in the most conversions will all help you write better posts in the future. In fact, you will be able to target certain audiences more specifically, now that you know where their interests in your work actually lie. There is no way to know this until you have published a fair amount of content, and then sat down to analyze its performance. Which is precisely what we are about to do. How to start reviewing your blog? If you will permit me one more digression, let me just give you a brief blueprint for doing a blog audit. Set up a sheet where you will be entering all of the data you want to analyze. Once you have all this clearly written down, you will have a much easier time figuring out which posts you might want to update, which are doing very well but could use a bit of extra promotion, and which you might want to delete. While deleting a post might feel counterintuitive, if you have a post that is bringing in zero traffic and is ranking very poorly, that page might be harming your overall rankings. De-index it until you can figure out how to improve it if you feel you can’t get rid of it. Search engines tend to favor fresh content: you have probably noticed that the top result for any search is often a post that has been published recently. Of course, there are posts that are simply better than the new ones, and provide much more value, in which case they will still rank well, regardless of the date. Updating the information you have already added to your posts is a great way to breathe some new life into it. Look at the posts you already have, and how date-specific they are. If you have a post like “best real estate blogs to follow in 2017”, updating it to a 2019 list could give it an instant boost. There are two kinds of updates you should implement, in fact. Posts that have been written for a specific year can be upgraded for the “here and now”. Make sure to change the date in the title and the URL, if you have them there. And also, publish the post with today’s date. Doing that alone will take your post up a notch. The other thing you can do is revise the information you have in posts that are not year-specific. If you quote stats for 2017, try to update them for 2018. 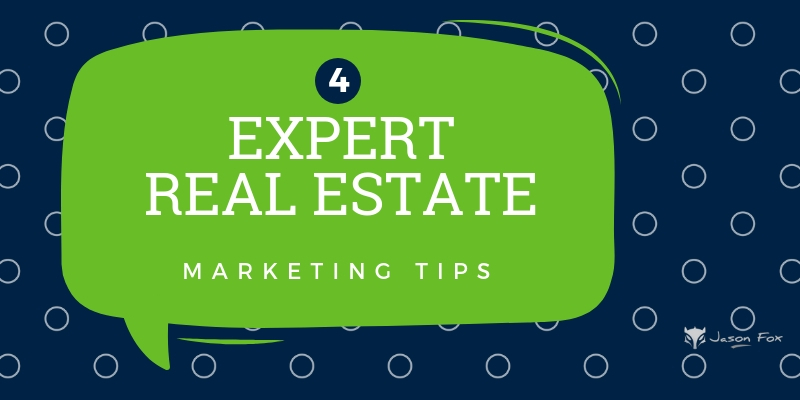 The real estate industry thrives on numbers, so keeping all of your info as relevant as possible will do a lot for your relevance. Adding data like average utility costs, demographic and population information, distances to amenities, etc. and keeping it updated will both signal to Google and its colleagues that your content is information-heavy, and it will allow you to reuse certain posts year in and year out, cutting down the costs of production. Imagine someone reading your post, finding it useful, only to be met with a statistic that is several years old. While they will certainly still appreciate the content, they will likely lament the fact that you have not bothered to update it. Another fun fact: most bloggers don’t take the time to do keyword research before they start writing a post. While this may set you up for oblivion, and the post may never draw the interest of a single person, you might also be writing a post that has been rehashed so many times the algorithm will rarely place a new piece to the forefront – contrary to what I have just said above. Breaking into a topic that is very popular without making your content exceptionally better and different to everything that is already available online won’t be an easy feat. This is where content audits truly work their magic – and allow you to focus less on coming up with new topics. After a post has been live for over six months, you will be privy to the most valuable information you can gather on it: the keywords it ranks for appears for and gets click on, from your very own Search Console. Let’s assume you have done some decent keyword research when you started writing the post, and that you have implemented all the most important SEO practices. You can now build on that initial data, and rework you content based on actual facts – because, after all, when you do keyword research, you don’t yet know if the page will rank for any of them. Armed with this Search Console data, you can change your meta description and title tag, and you can subtly rework you content (staying clear of using keywords too often), and make sure you are targeting other keywords as well. You should of course use the same software you have used initially, and check how your original plan is performing. Search trends come and go, and people start looking for things using different phrases over time. Use this to your advantage, and rework your original ideas to fit these new trends. Also, check how the pages you are competing against are doing: are they building specific types of links, what kinds of keywords they are using, have they updated their content, etc. If you notice that commenters have been asking specific questions below certain posts, make sure to answer them not only with a comment but within the actual article as well. This is a clear indicator that users want these questions answered, and beating them to the punch can improve the quality of your post, and boost your rankings as well. Make sure to thank your community for participating in the discussion, and let them know you have put their input to good use. You may get a few shares out of the effort, and it will certainly be appreciated. Comment sections are often a treasure trove of questions people can’t find answers to in actual posts, so reworking your original idea to incorporate them will signal to the search engine that there is a post that can provide more – causing you to rank better. While you’re updating your content, make sure to check the links you have coming in and going out of all posts. 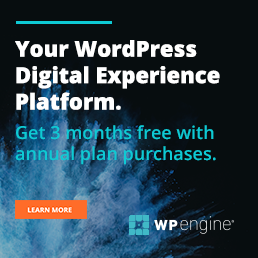 Swap any outdated outgoing links– whether they are pointing to statistics or relevant industry websites, other blogs or opinion pieces, and make sure that all the targets are still both relevant, and more importantly, live. While you are at it, you should also improve on your internal links. We often forget how important passing SEO juice is from one post to another, so try to link to at least a couple of other internal posts from every piece. Also, make sure you are linking to your service pages too – internal links are a great way to rank them better, without actually promoting them. Check how many other websites are linking to your posts, and see which posts could use more backlinks. Links are still one of the more important ranking factors, so don’t forget to work on acquiring them, not only after you initially publish the post, but even months later. Doing a content audit may require a bit of time and a lot of manual effort. You will also have to put your thinking cap on, and really immerse yourself in your words. However, once executed properly, this strategy can do a lot to both improve your rankings, and bring in some fresh traffic. Nikola Banicek is an internet marketing specialist at Point Visible content marketing agency. He’s a laid-back guy with experience in PPC, copywriting, and project planning. When he’s not working, he’s either gaming, watching football or anime.